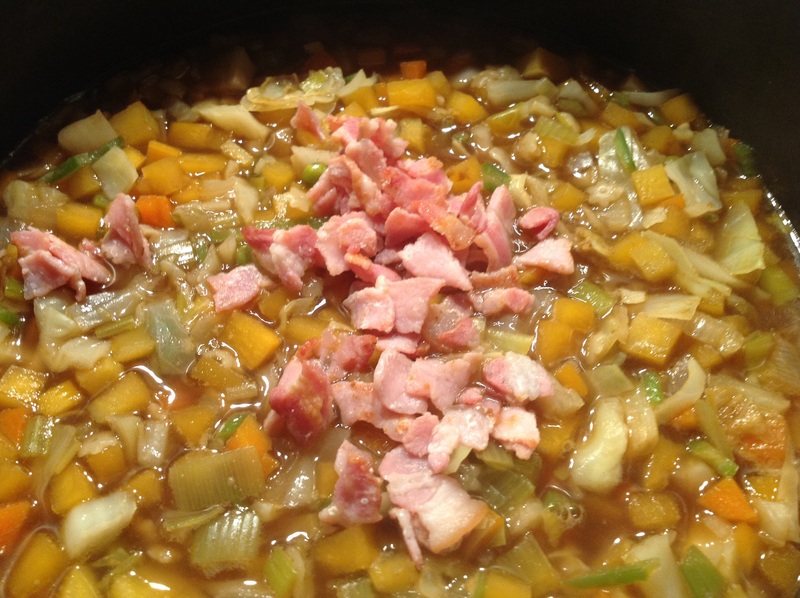 I do love a nice bowl of lentil soup and do love bacon so this is a perfect combination! I don’t usually bother to soak the lentils overnight, but I decided to do it anyway and see if that makes any difference. After soaking I just added the bacon, garlic, herbs and seasoning to the pan and it all did look a pale and rather unpleasant at that point.. 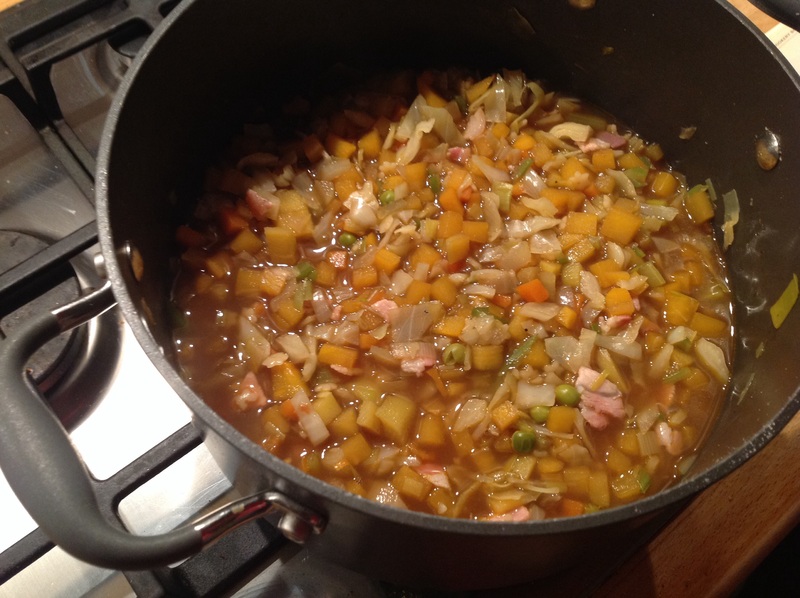 So not much to say about this recipe, it’s all left to simmer away for roughly an hour and by then it had thickened up and the lentils were super soft..
Then I added the potatoes and left for another 20 minutes until they were cooked and by then it was looking much more appetising! So I actually left this overnight before trying it and I had forgotten to take the clove out! The flavour from the clove is actually really nice. 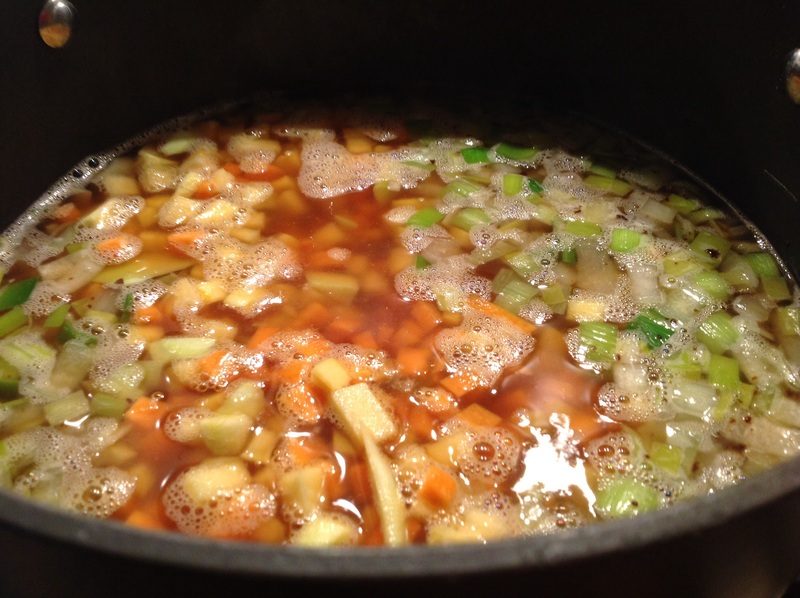 It is a very thick soup, perfect for winter and very filling! 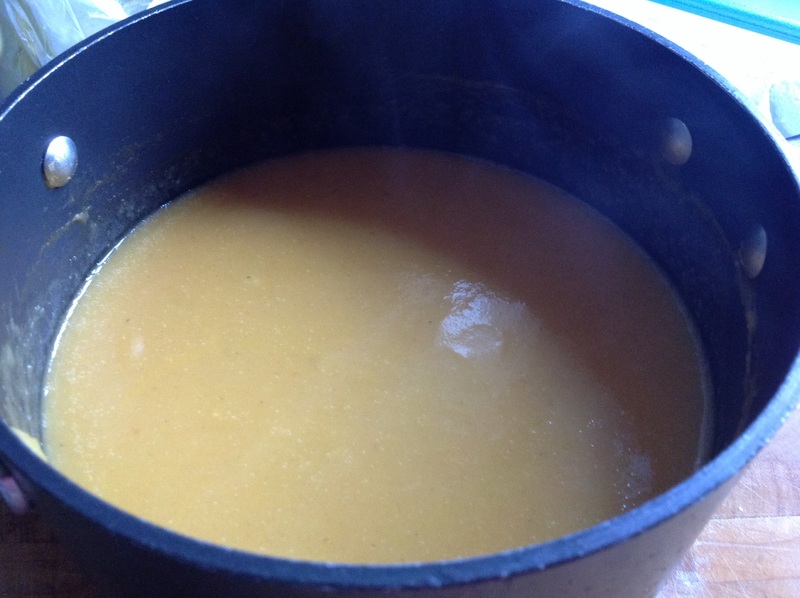 So this is the last cream of soup to make from the book, again there’s not much cream in it, but then none of the cream soups did! That is quite a big bowl, I didn’t weigh them but I reckon I used about three quarters of the 1kg bag. I opted to put some mint in as my garden is slowly being taken over by mint so any excuse to use some of it..
Once the onion has been softened I added the peas, mint and stock and left to simmer.. 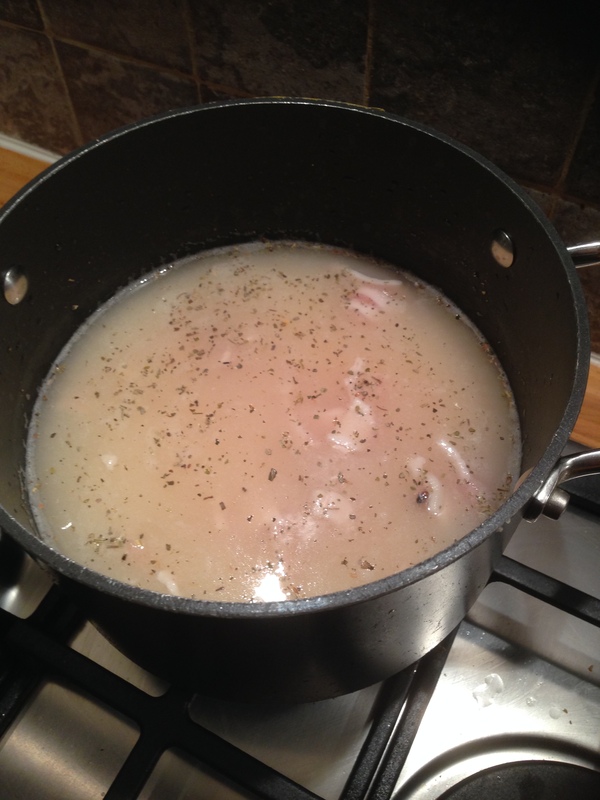 I had started the bechamel sauce earlier, and while the soup was simmering I finished it off. In order to keep it as a pouring consistency I just used less butter and flour..
Once the peas had been simmering for about 10 minutes I blitzed them and it’s quite a thick mix which is a brilliant colour!! Before blitzing I removed the sprigs of mint but then I put a few leaves back in to blitz with the peas. Then the bechamel sauce is mixed and heated through. I had a taste at this point and I didn’t think it needed any more seasoning or any sugar. So cream added and that was it.. 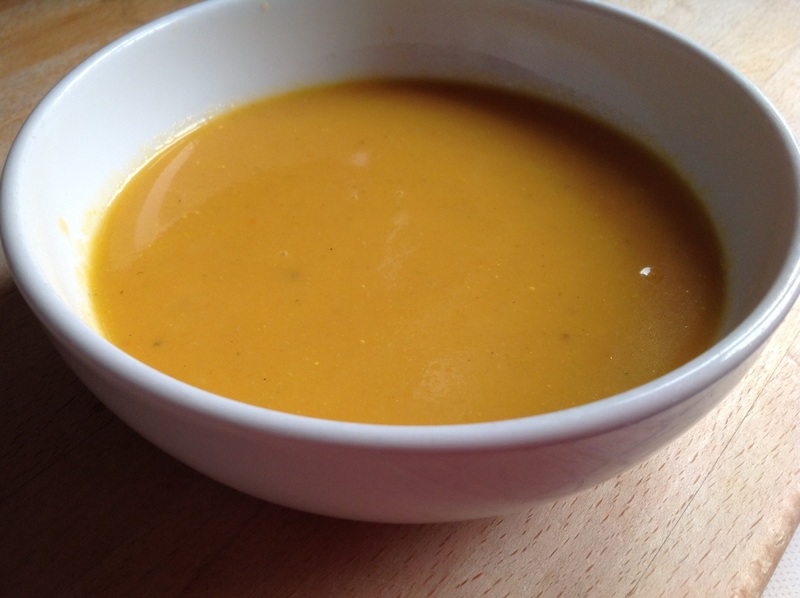 Served with some crusty bread and this was dinner..
Well this is quite possibly my new favourite soup! I loved it! The flavour of the peas and the mint is great, it’s not overly minted, although my daughter may disagree slightly as she thought the mint was a bit funny in it, she did polish off her plate before she decided on that though! I thought it was a perfect combination and such a fab summery colour! Would I make this again? Yes definitely.. 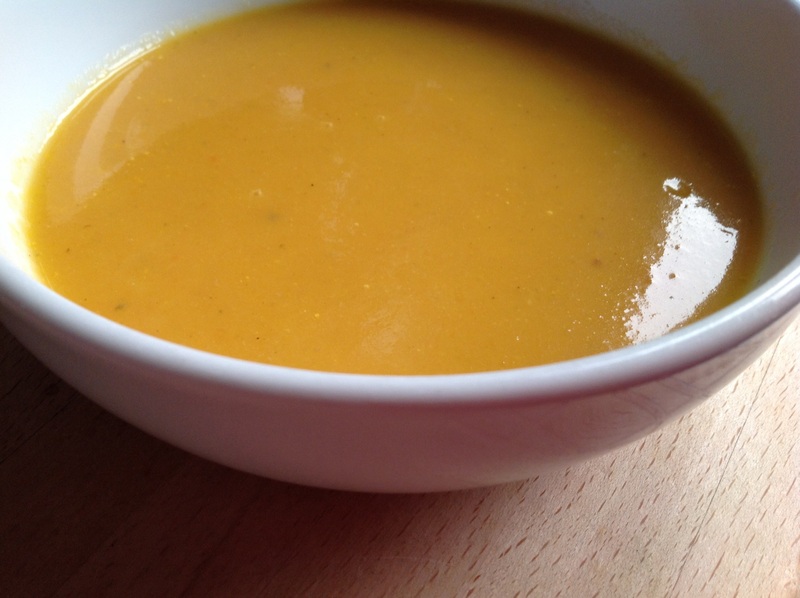 I think this may be my favourite soup, I very rarely order soup when eating out except when this is on the menu! 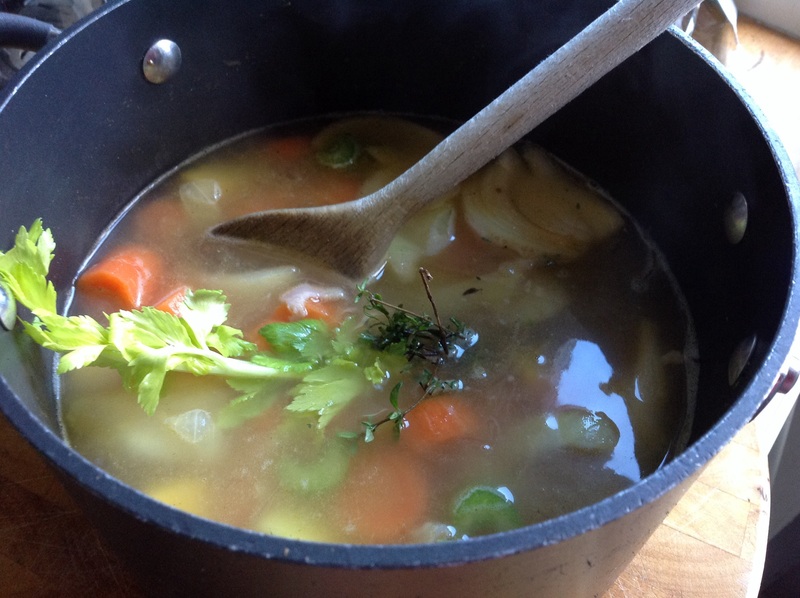 I’ve made this a couple of times and the first time I used beef stock cubes and felt it just wasn’t quite right! 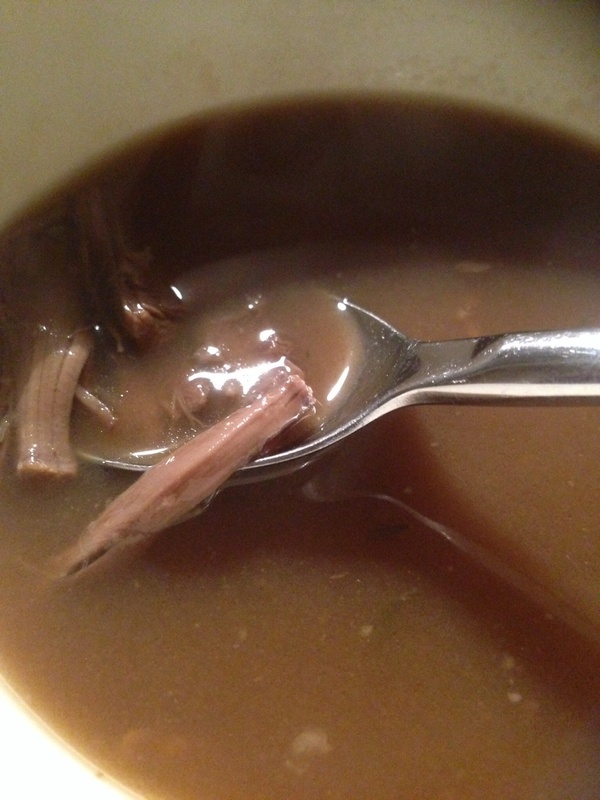 I’ve never actually made my own beef stock so for this I bought some fresh beef stock from the supermarket.. 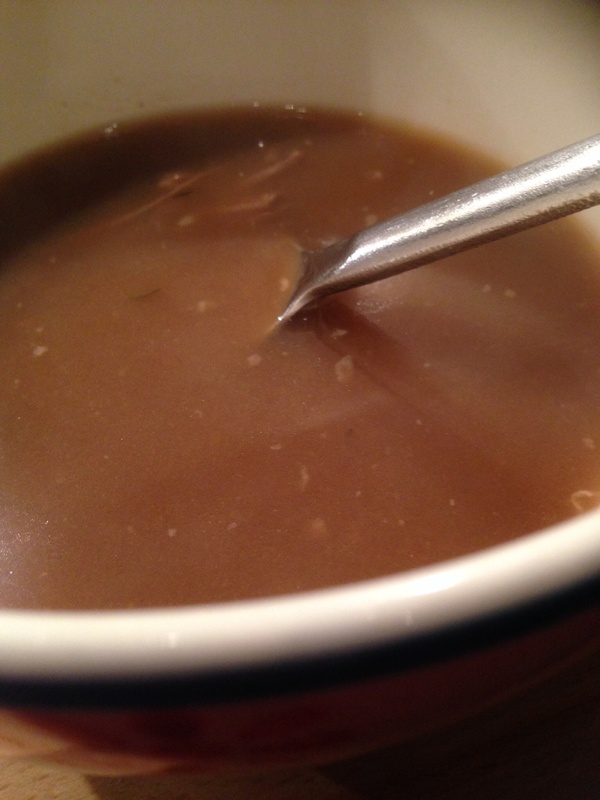 So it’s quite a simple recipe, I think the version I made before had sugar, garlic and wine in it as well. 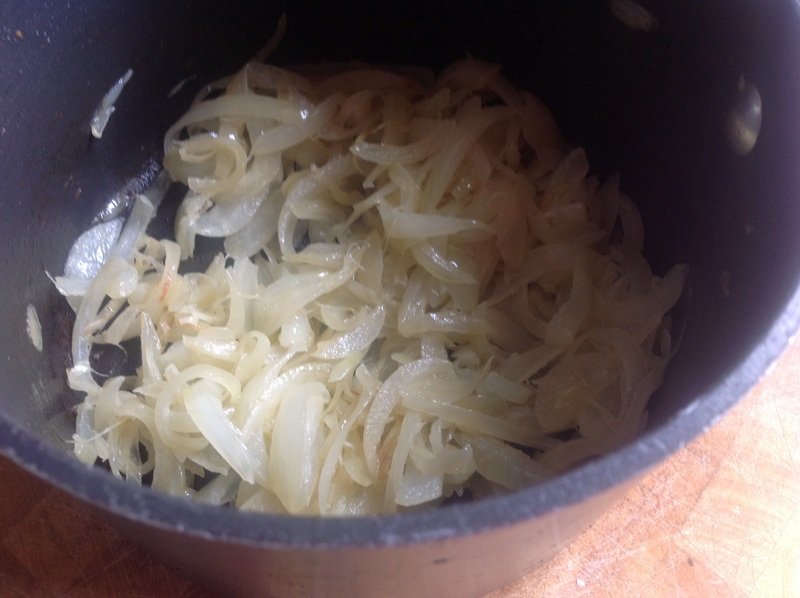 I had three quarters of a pint of stock so had to half everything else, but that ended up one large onion, so I threw in another one as I decided that wasn’t enough!! 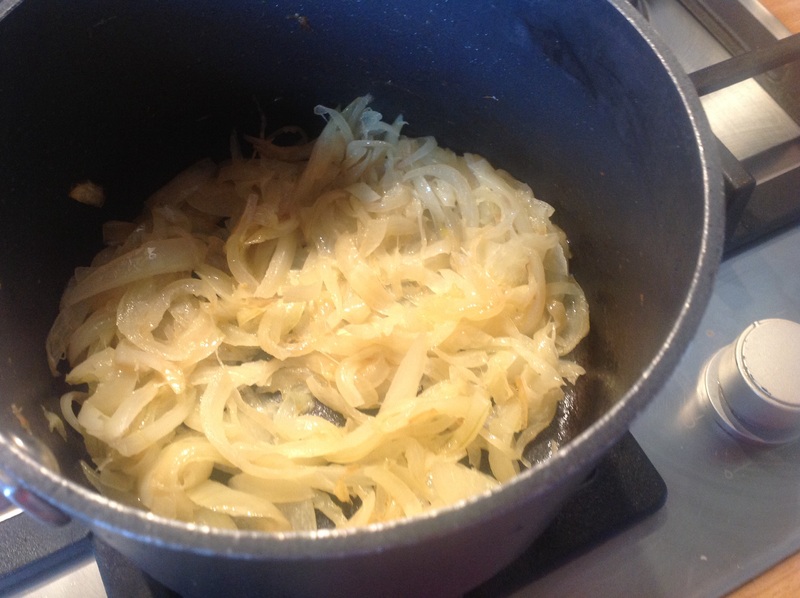 The onions are started off in the butter.. The recipe says to cook for 5-10 minutes until browned but I had them cooking for nearly three times as long. 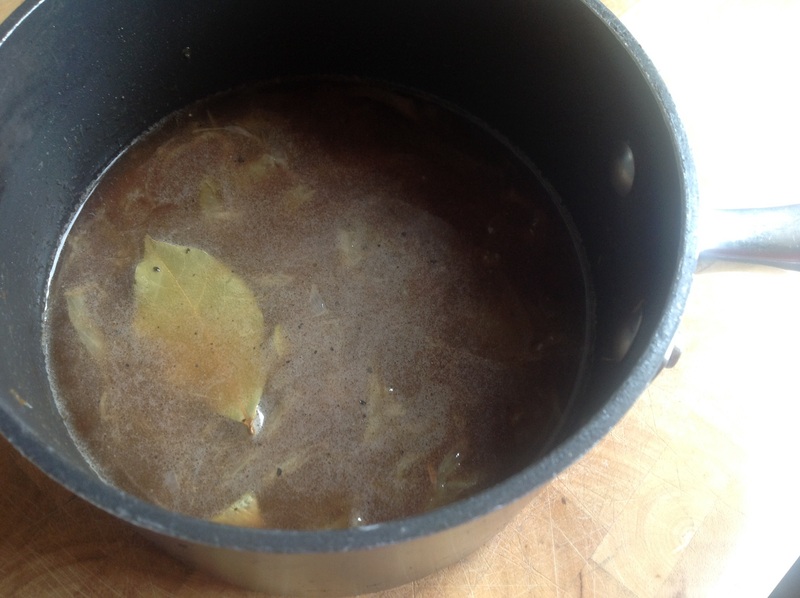 I had the heat right down and they were cooking for about 30 minutes until really soft and starting to brown..
Then the flour was stirred through followed by the stock, bay leaf and a little seasoning..
Doesn’t look very appealing just now so lid on and left to simmer for 30 minutes. I had bought Gruyere cheese to put on this which isn’t very French! 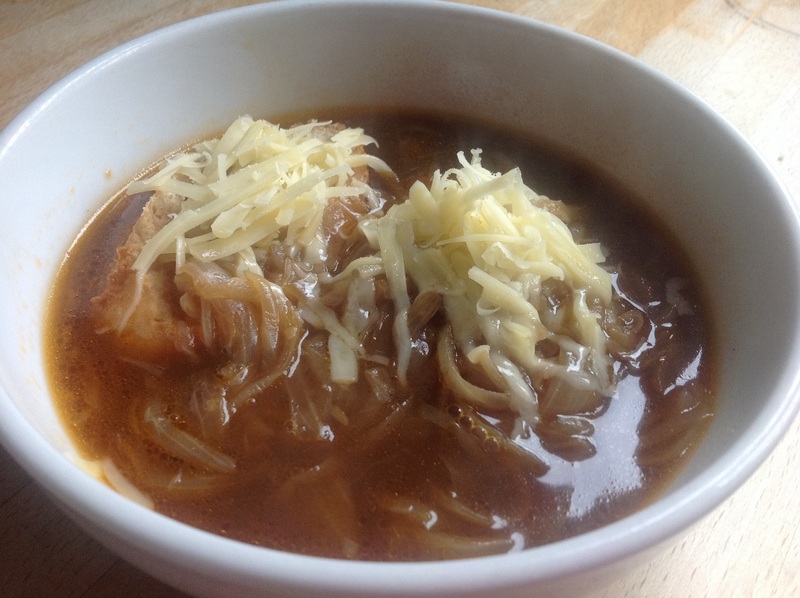 Last time I made this I put the bread and cheese in the soup together, but for this I did as instructed and put the bread in the bowl followed by the soup then the cheese. Don’t actually see what the difference that all makes! 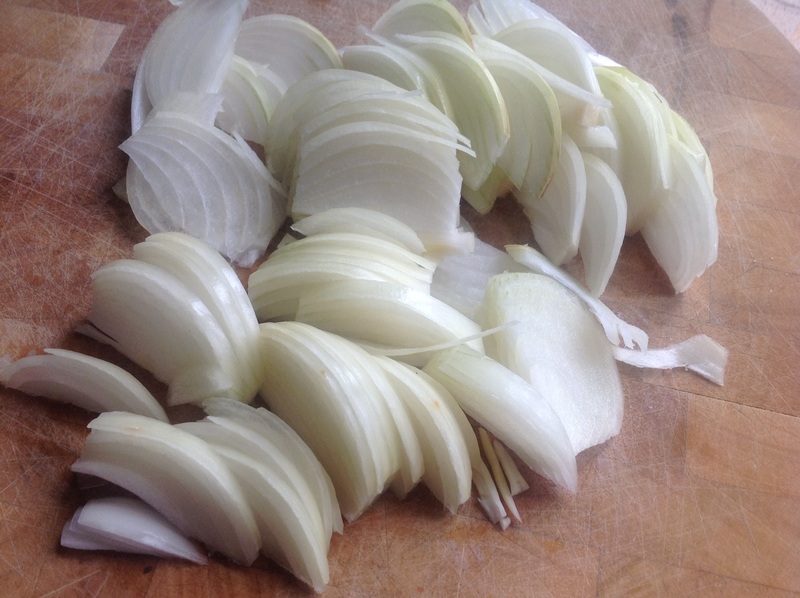 Even though I increased the quantity of onion I think even more could be used! 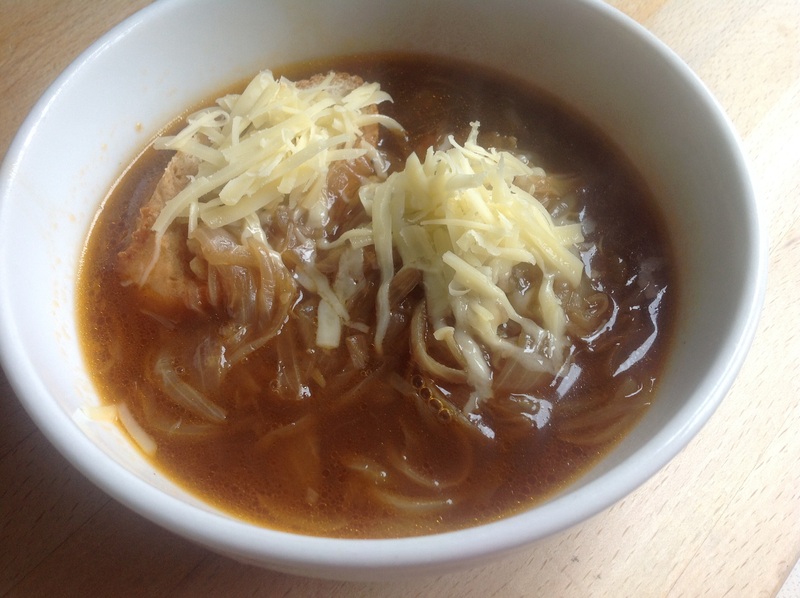 It is delicious though, and I put two slices of bread in our bowls as they were only little slices! 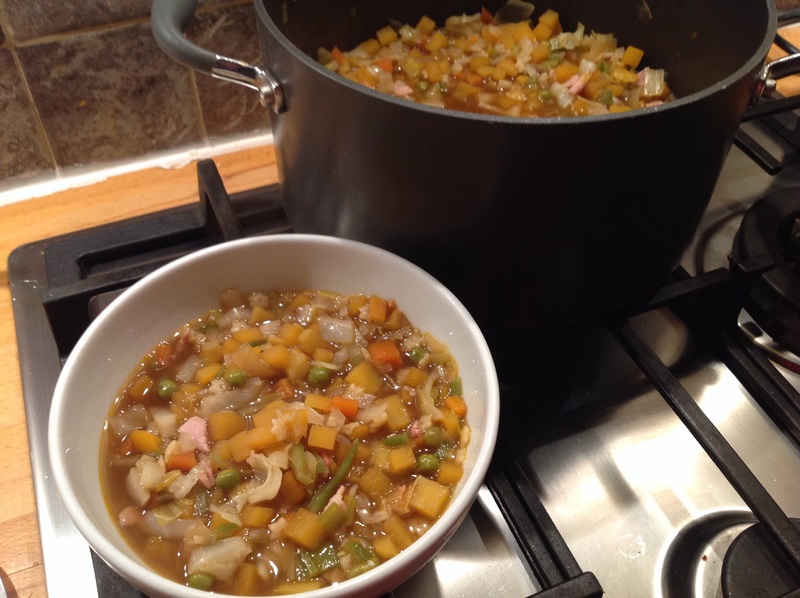 The whole dish is great and is still my favourite soup!! I think I’d put it under the grill next time for a couple minutes. See how organised I’m being with this recipe!! 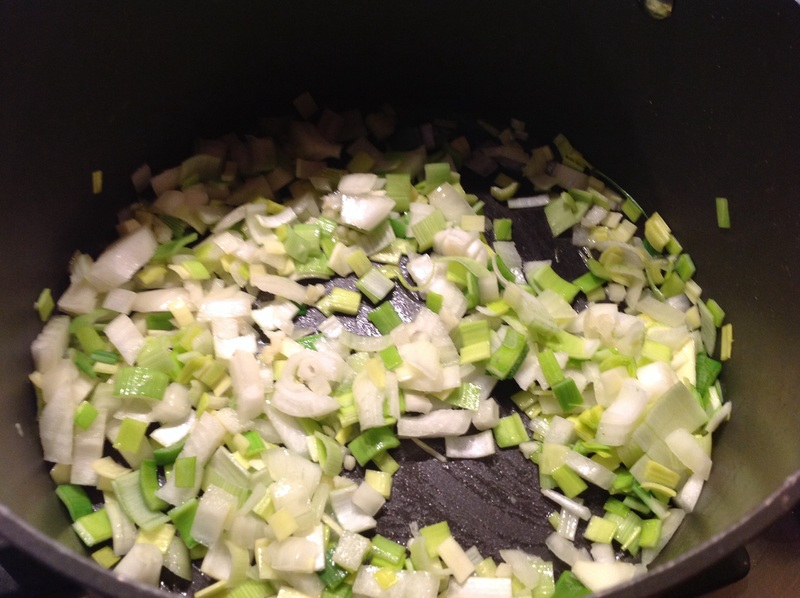 First off I fried the leek, onion and garlic..
Then I added the stock and the carrot, turnip and celery.. I was going to use macaroni but then found a packet of soup pasta so I opted to use that instead, but I didn’t add at this stage because I didn’t think it needed that long cooking. 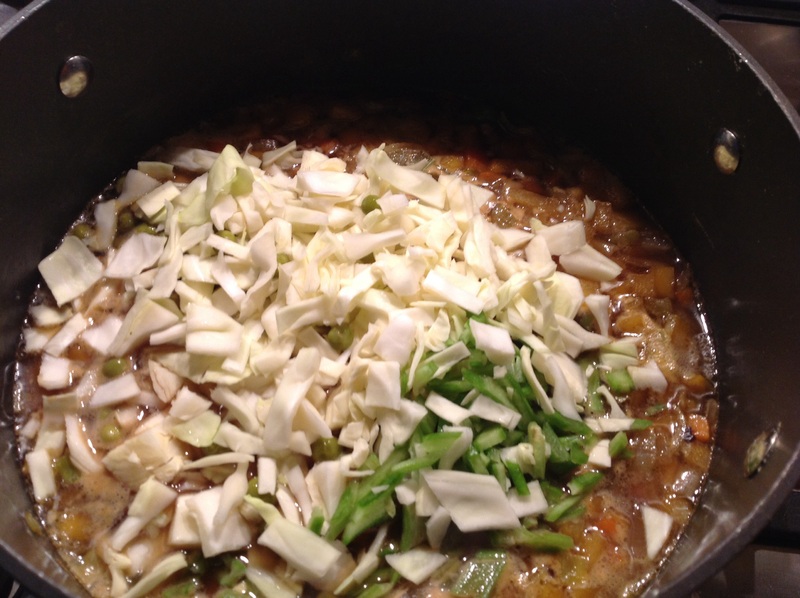 After 30 minutes I added the cabbage, beans and peas..
Then I added the bacon and opted to use tomato paste.. So after about an hour of chopping and then an hour of cooking it was ready.. I did rather annoyingly forget the Parmesan!! So had just as it is..
Well this must be more than one of my five a day or eight a day or whateve the reccomended veg intake is! 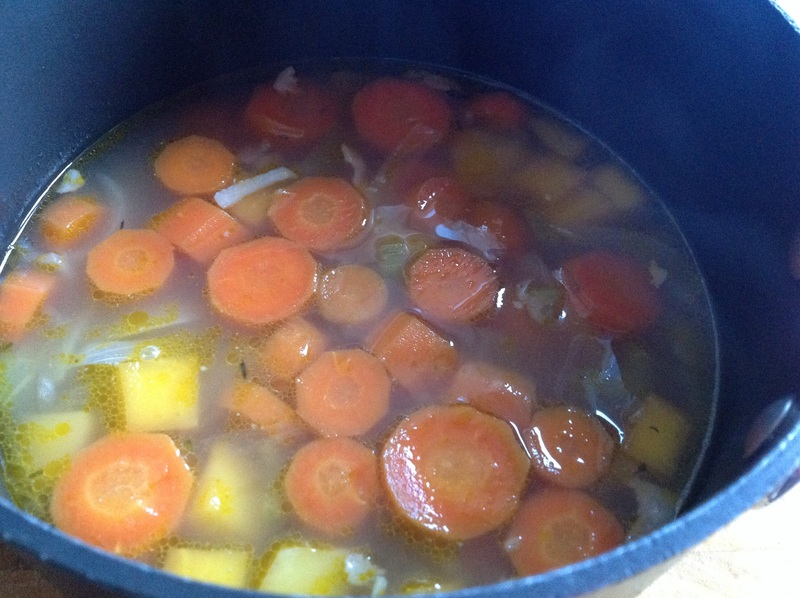 It is absolutely packed with veg, and I was a bit tempted to add a little more stock. It does taste good and is very filling. I’ve made loads so this will keep us going for a few days! Not terribly hard to make this, just a bit of chopping first..
Then after a few minutes softening I added the stock and a bouquet garni of sorts..
An hour does seem like a long time for this to simmer and after then everything is very soft..
Once blended at this stage I thought that would’ve been enough, it was a nice enough consistency and did taste pretty good! So the flour and milk did seem a tad unnecessary but once its all been added it does make a thicker, creamier looking soup.. I would expect a cream soup to have so much more cream in it that just a few spoonfuls, again doesn’t seem necessary. 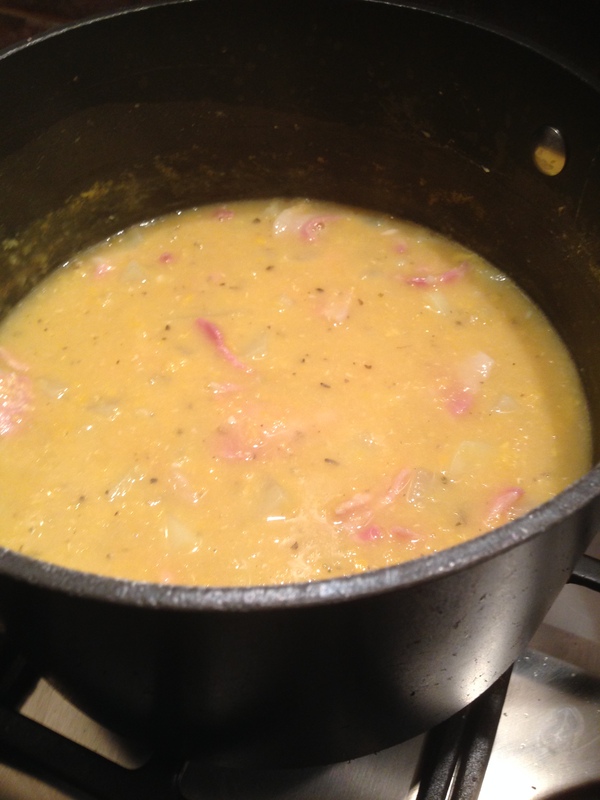 I actually made this last night and my husband and daughter confirmed its a good soup. 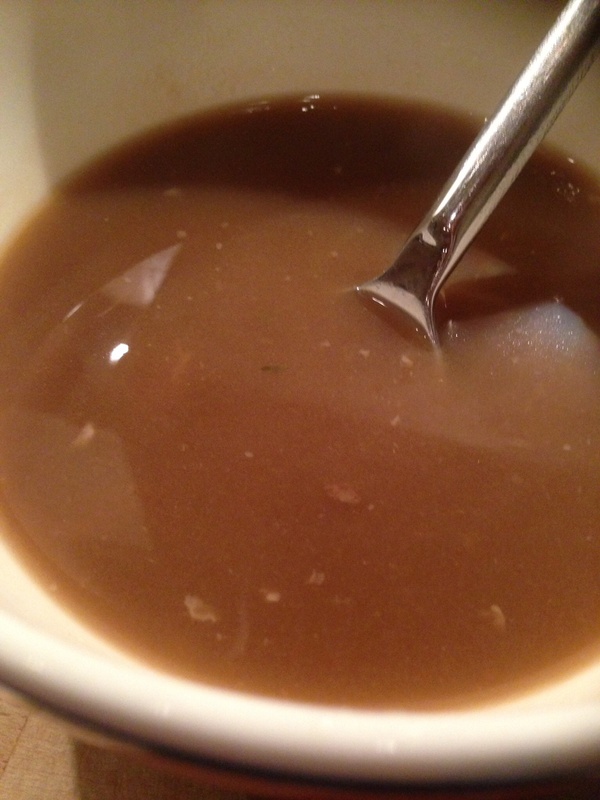 I do not like mushroom soup!! I don’t know what it is about the stuff but I really don’t like it! There is nothing more disappointing than when I’m eating out and really fancy a bowl of soup only to be told it’s mushroom! 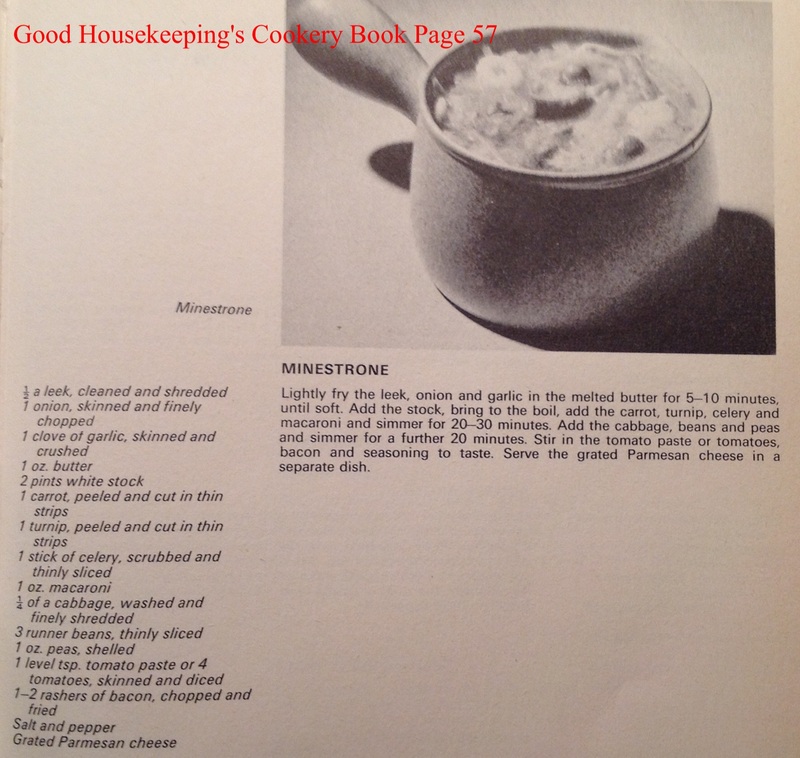 So like every other recipe in this book I am going to try it.. 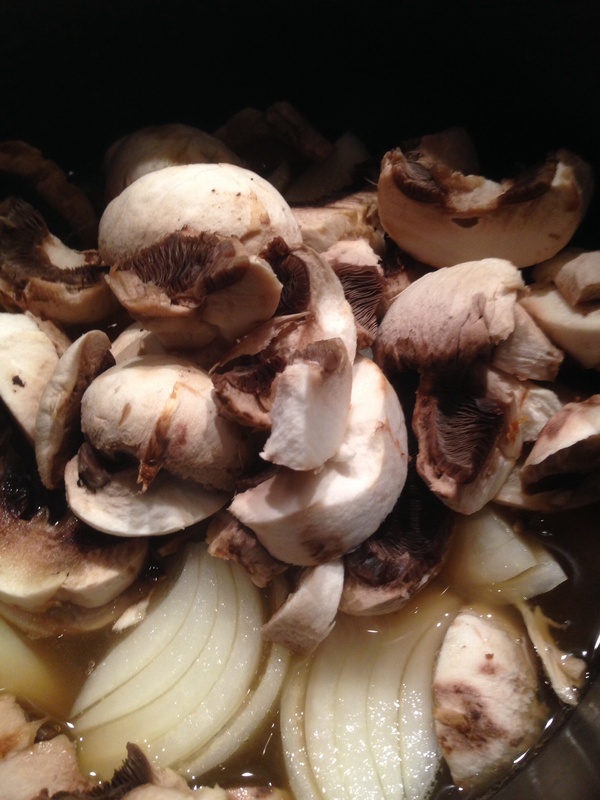 I started off cooking the mushrooms and onions in the stock. I only had 4oz of mushrooms so I halved everything else. This is easy enough and after 30 minutes they both look really soft. I don’t dislike mushrooms in their more basic form and they are actually one of my daughters favourite vegetables so we do eat them a lot. Maybe it’s the consistency of the soups I’ve had, not sure what it is but have to say once this mushroom mix was blended it did not look at all appealing.. 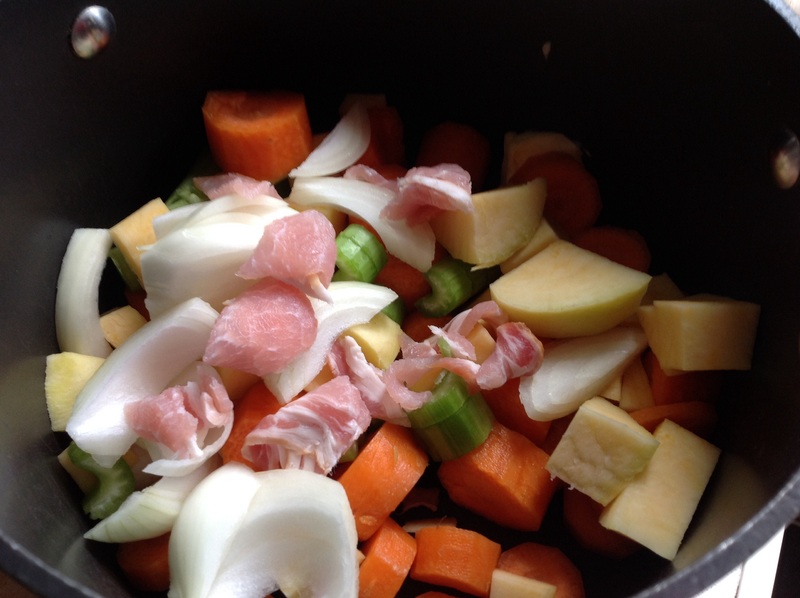 I carried on with the rest of the recipe and it does result in a good thick soup, which I do like!! So how does it taste? I can’t say I loved it but I didn’t dislike it as much as I expected to! 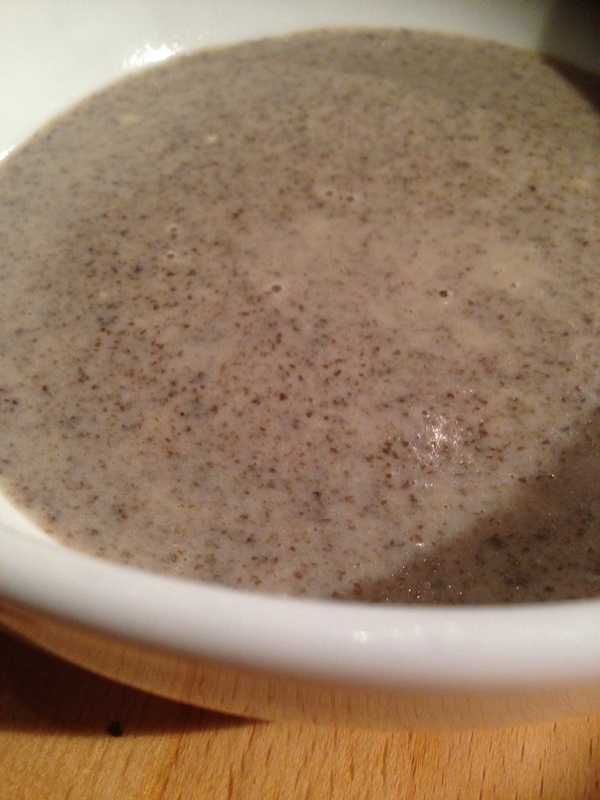 It’s a nice consistency but even my mushroom loving daughter didn’t particularly enjoy it! Would I make this again? Probably not! 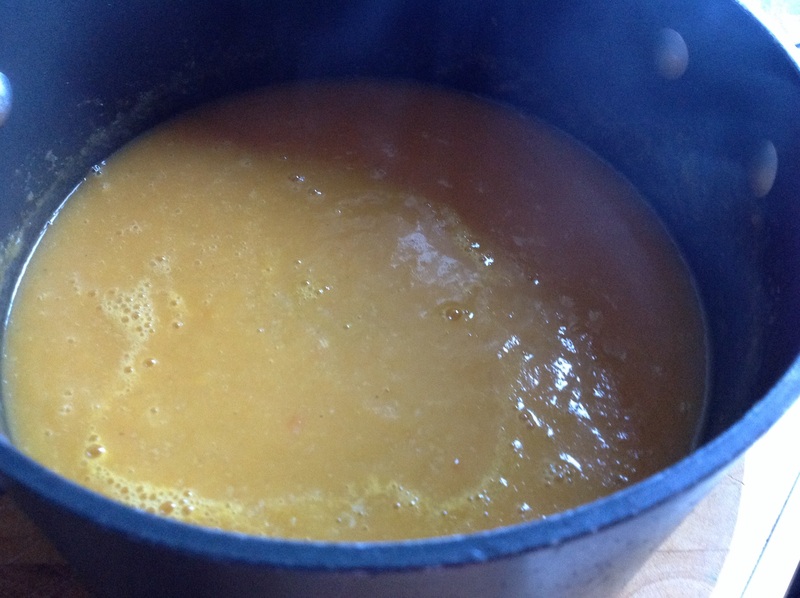 I have never tasted oxtail soup, I did buy a can of it recently but that was to add into another recipe. 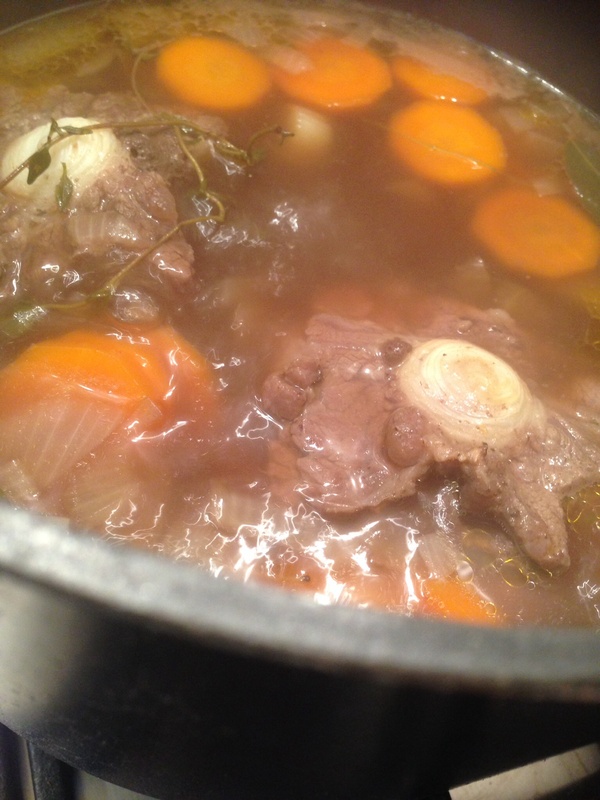 I cooked an oxtail casserole last year that turned out ok! 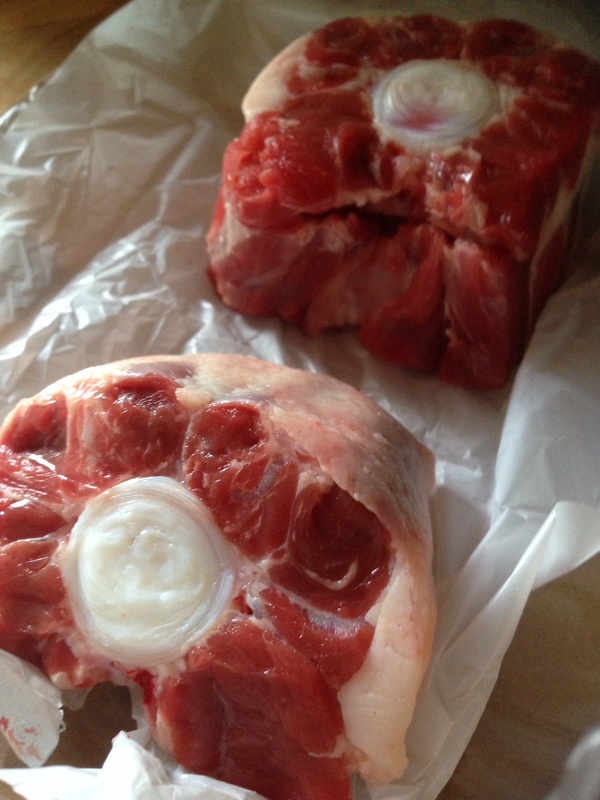 That time I had bought a whole oxtail from the butcher that wasn’t very nice to look at! This time I had spied oxtail in the supermarket that was cut into decent pieces, so I bought two large bits for only 70p, bargain! 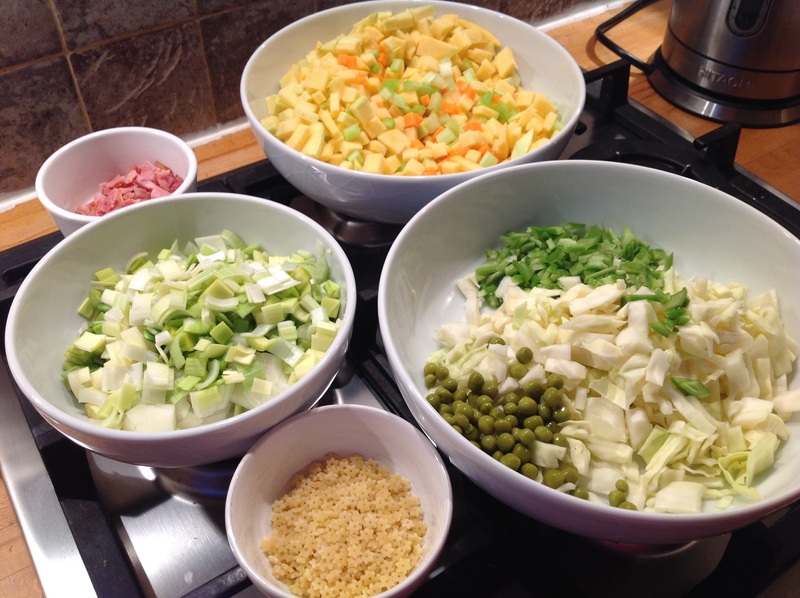 This does need a bit of time to cook so I did start this yesterday and cooked in two stages. First off I tried to cut off as much fat from the meat as I could, and there is a fair bit..
Then it’s all just in a pot and left to simmer for a while. I didn’t leave it anywhere near as long as 4 hours, I think it was just about 3 hours. It’s not terribly appealing looking whilst it simmers away..
After the three hours I removed the meat and strained the liquid. I let the liquid cool and put in the fridge, then removed all the nice meat bits from the tail. 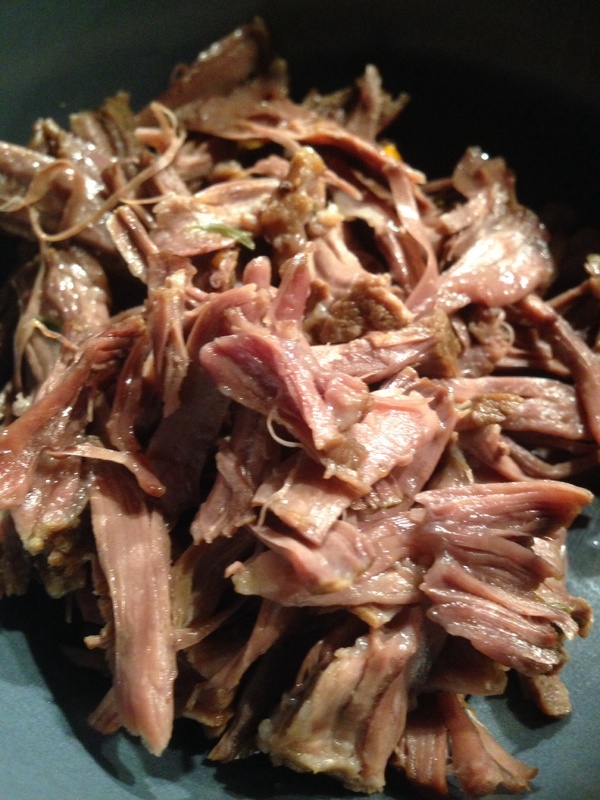 There is a lot of fatty bits but the meat that is there is lovely and soft and does fall off.. I then started the next stage tonight. 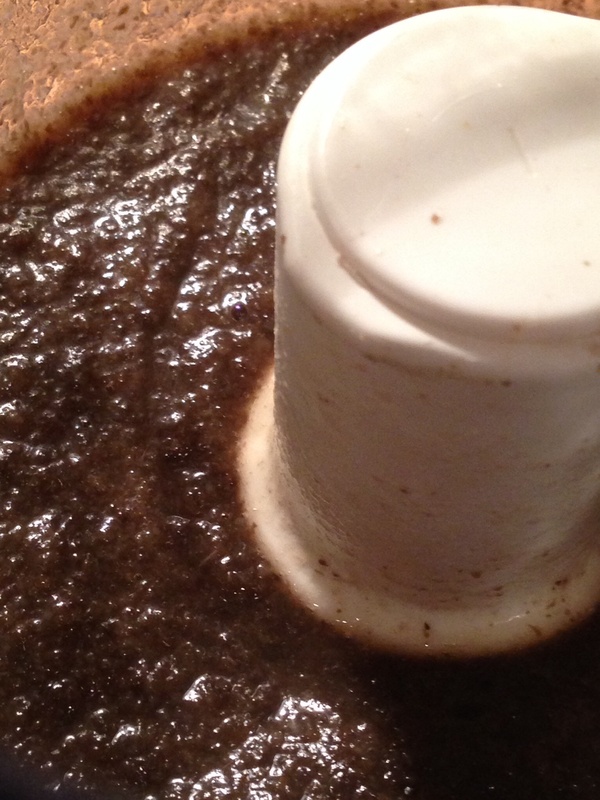 The liquid had cooled so it was much easier to skim of the fat. 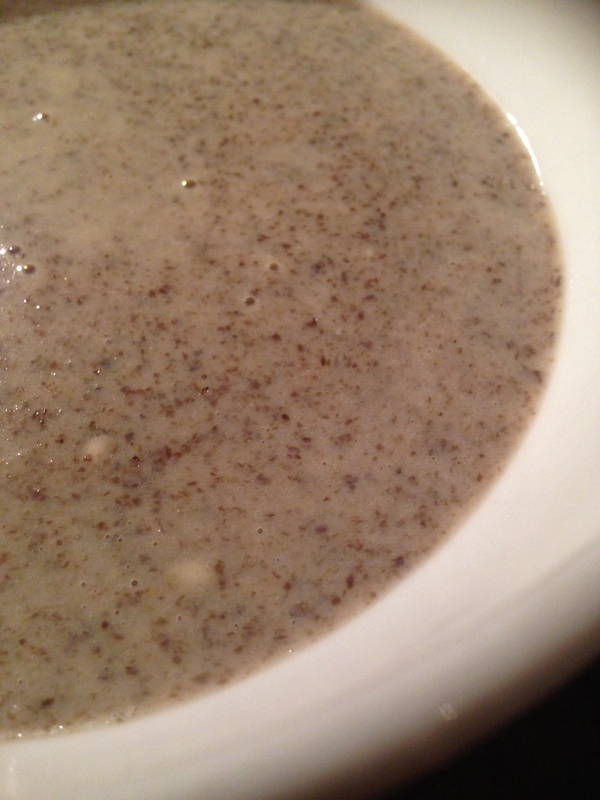 Then I just added the blended flour and reheated and that was it! 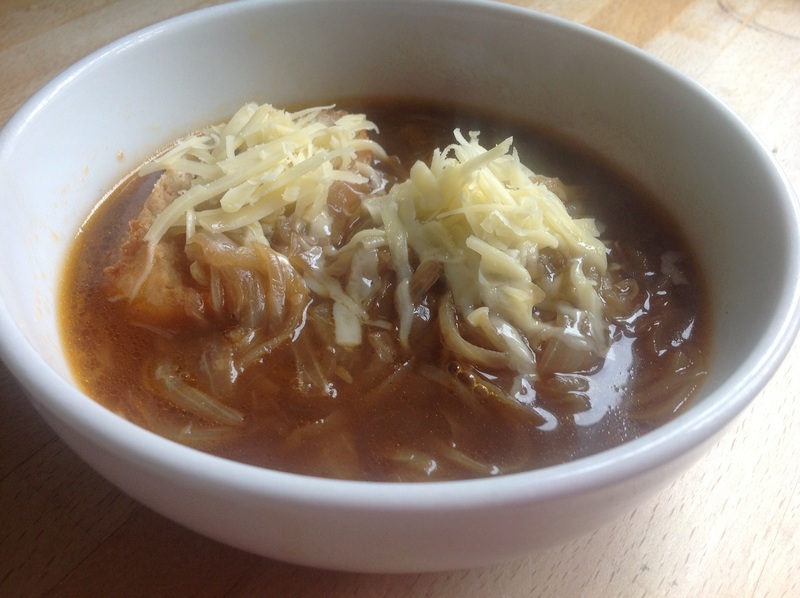 Well if you like a meaty soup then you’ll love this! It is quite a rich flavour but I loved it! 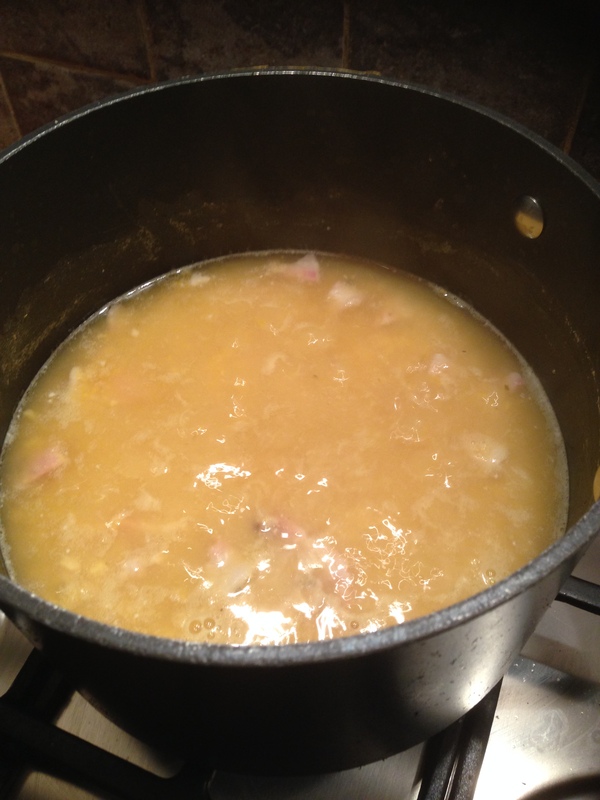 It’s not a thick soup but it’s ok in this case as you have the chunks of meat. I didn’t bother making dumplings but you could to make it more filling. 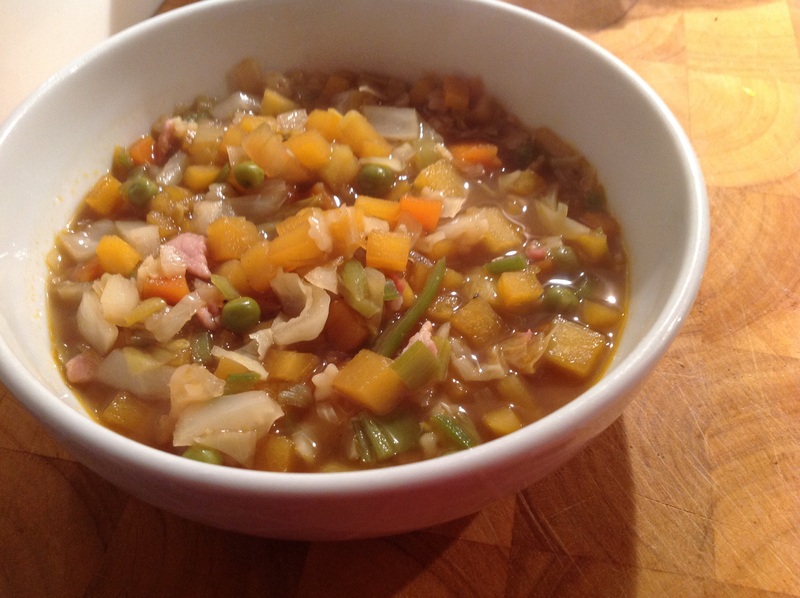 Overall though this was good, it is a bit of effort for a plate of soup but I thought it was really worth it! Would I make this again? Yes, tasty and cheap! !